Justin Jordan (DEAD BODY ROAD, Luther Strode) and Kyle Strahm (HACK/SLASH, HAUNT) team up for a new science-fiction thriller, SPREAD, a horrifying story of inevitable death and slim hope. Enthusiasm for SPREAD will prove infectious and launch with a social media contest. 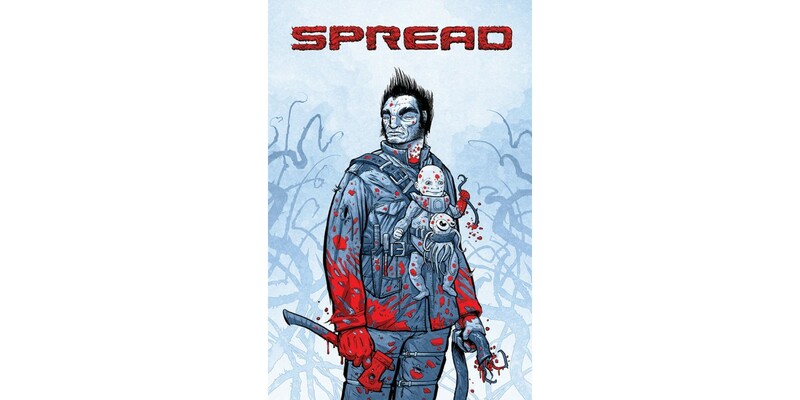 Post the cover image of SPREAD #1 with the caption “it’s spreading…” and tag @kstrahm and @Justin_Jordan on Twitter and/or Facebook with the hashtag #itsspreading for for a chance to cameo as an extra character in the book, plus other SPREAD swag. Winners will be revealed on the day of release, July 9. SPREAD can be pre-ordered using Diamond Code MAY140579.